Get Enriched Air Nitrox Certified! The Force-E Enriched Air Diver course is the most popular specialty scuba course. Why? 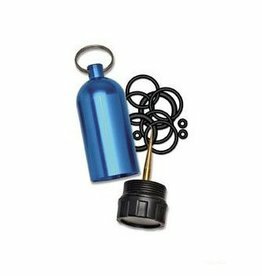 Because scuba diving with enriched air nitrox gives you more no decompression time, especially on repetitive scuba dives. If staying down longer and getting back in the water sooner sounds appealing, then don’t hesitate to become an enriched air diver. Are you still a little hesitant? Then stop by a Force-E Scuba Center and talk to one of our highly trained instructors. This course is completed in one day, in about 3-4 hours with a Force-E Instructor. Note there are no dives required for this certification, only a classroom session. You’ll learn why diving with air that has higher oxygen and lower nitrogen content gives you more bottom time, along with enriched air equipment considerations. You can choose to do your academics online or book version. If you choose the online academics you do all your reading, videos and test online on your time. If you choose the book, you will do your reading and knowledge questions at home then join us for a classroom session to watch a video and complete the final exam. 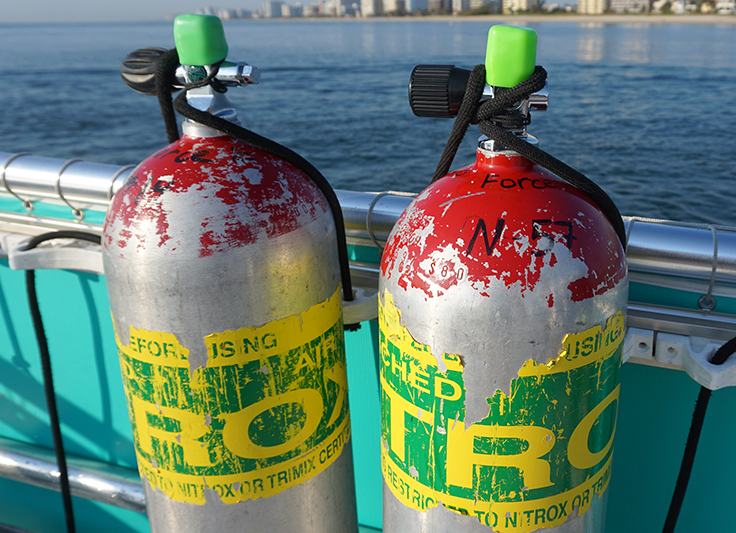 After your classroom session with your instructor and you've completed your certification you will probably be excited to jump in the water and dive with Enriched Air Nitrox. Our instructors can help you set up a dive trip through our store. You can also hire your instructor as a guide to go along with you to guide you through the step on using your mixes or setting up your dive computer to plan your dives. To enroll in a Force-E's Enriched Air Nitrox course, you must be 12 years old or older. Also you will need to be a certified Open Water Diver. 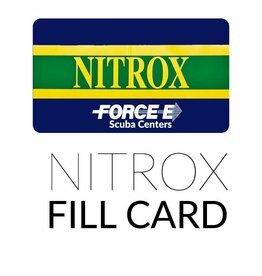 In the Force-E Enriched Air Nitrox course, we recommend students use or purchase their own dive computer to ensure familiarity with your gear for when you go out diving with a EANx mix. When you enroll in a Force-E course, students receive a 10% discount towards any purchase in store while they are training. Default Popularity Newest products Lowest price Highest price Name ascending Name descending All brands Force-E Scuba Centers Marine Sports Mfg.